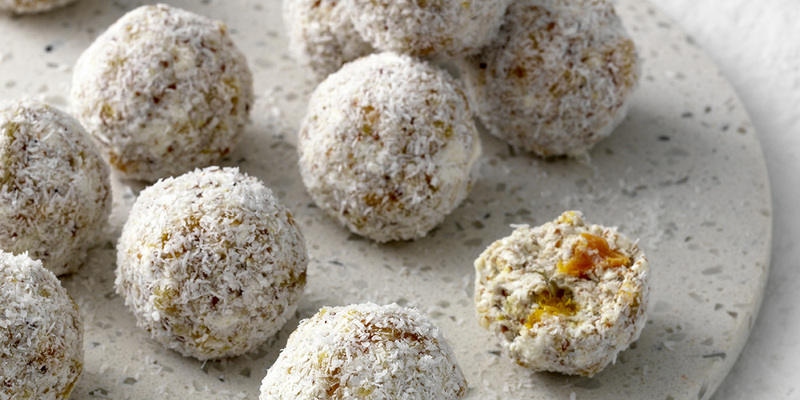 Cottage Cheese, Apricot, Coconut & Chia Bliss-balls. Is there nothing that the versatile superfood that is cottage cheese can’t do? Make a big batch and keep a jar of these gems handy to make good snack choices through your day.